The training and testing of CNAs and the management of the Delaware CNA registry fall under the administration of the Division of Long Term Care Residents Protection (DLTCRP). 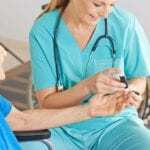 Before working as a certified nursing assistant in a nursing home, either as a member or staff or contract worker, you must meet the requirements defined in the state’s laws and requirements. These requirements include completing an approved nurse assistant program and passing the nurse aide competency exam. After demonstrating your competency through the passage of the exam, your name will be included on the CNA Registry. Nursing facilities licensed by the state must ensure a prospective employee’s name is listed in good standing on the Registry. Choose this route if you successfully completed a state-approved training program for nurse assistants within the past 24 months. Note that you have three attempts to pass the knowledge and clinical skills tests within 24 months of completing the program. If you’re currently enrolled in a state-recognized licensed nursing program, this route is for you. You must complete a Fundamentals/Basic Nursing course that includes 75 hours of clinical instruction in the long-term care facility before you can apply for the exam. Submit an official letter from the school along with your application for the test. If you’re a certified nurse aide in Delaware but did not complete at least 64 hours of nursing service in the past 24 months, you must submit an application to take the exam. Submit proof of your past certification with the application. This route is for CNAs in other states who do not have three months of full-time employment. Submit a copy of your current CNA or GNA certification with your application to take the test without having to take an approved nurse assistant program. An RN or LPN, who graduated more than 24 months prior to applying for certification, is eligible to take the competency exam. Submit a copy of your school diploma with an official seal with the application for the exam. Complete the printable application form, sign, and mail to Prometric or submit your application online. Make sure your name on the form exactly matches the name on your ID. Indicate whether you’ll take the test at a regional test site or at the training program’s facility. For testing at the regional test site, you must enter a test site code. Include a money order or cashier’s check payable to Prometric with the application. You can also fill out your credit card information on the application form to pay with an American Express, MasterCard, or Visa. Test fees are non-refundable. Remember to enclose supporting documents based on your choose eligibility route. Sign and date the Applicant’s Affidavit. Complete the ADA Request Packet to request special accommodations for the exam if you qualify under the Americans with Disabilities Act (ADA). Allow up to 30 days for review and enclose supporting documents signed by a licensed physician or specialist with the request. First-time test takers must apply for both components of the exam. Mail the completed form, fee, and accompanying documents to Prometric and allow up to 10 business days to receive notification of the status of the application. If you meet the eligibility requirements, Prometric will send the admission to test letter to your email. The letter will indicate the location, date, and time of the test. A representative from the nursing home or training program will schedule your test if you’re taking the exam in-facility. Regional test sites are available in Kent County, Sussex County, and New Castle County. You may reschedule a new date for the exam if you place the request five full working days before the test date. The rescheduling fee is $25. You may be eligible for reimbursement of your nursing aide training and testing fees if you’re employed or receive an offer of employment within 12 months of certification. 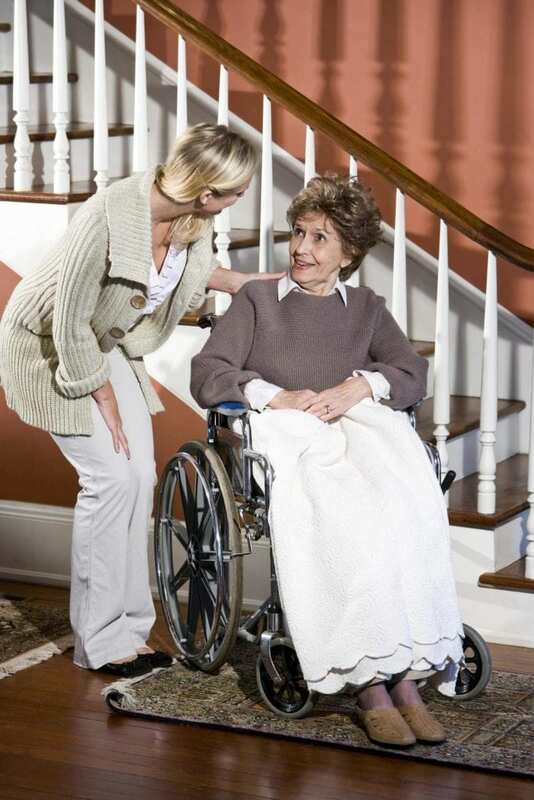 The facility must be a Medicare/Medicaid certified nursing facility for you to qualify for reimbursement. Save all your receipts for expenses that you paid out of pocket to submit as proof of your payment. The rescheduling fee applies only if you request it five full working days before the test. If you request it later, you will have to pay another fee to take the exam. The written (knowledge) test and the clinical skills evaluation are two independent components of the CNA exam. The nurse assistant training, with its knowledge, lab, and clinical skills component, will cover all you need to pass the exam. However, it is crucial that you review the material and pay special attention to the checkpoints for each skill to succeed. Prometric administers the exam using a computerized system allowing you to submit your answers using a computer mouse and receive scores at the conclusion of the test. To qualify for CNA certification, you must pass both components of the exam. You can take each component a maximum of three times to receive a passing score. Timing is crucial for the knowledge exam as you’ll have a maximum time of 90 minutes to complete 60-multiple choice questions. The questions cover a broad range of topics in the five major categories outlined below. You can expect questions relating to age-related changes, fundamental human needs, emotional support strategies, observation and reporting of physical changes, acute emergency situations, impact of impairment on resident safety, care of the dying resident, post-mortem care procedures, communication principles, workplace standards, and promotion of personal health and safety. You can use practice tests on the internet, including Prometric’s paid tests, to get familiar with the type of questions to expect, computer functions, and timed test taking. Request the written test in oral format if you have a reading disability or consider English your second language. The questions will be read to you by the computer, and you’ll use the mouse to submit your responses and rewind and pause the recording. The oral exam is only available if you request it at the time you submit your application for the exam. Dress a resident who has a weak arm, provide mouth care to a resident who has teeth, feed a resident who is sitting in a chair, provide resident with hand and nail care, provide perineal care to a female resident who is incontinent of urine, and assist resident needing to use a bedpan – these are just some examples of the skills you may be asked to perform for the clinical skills test. Prometric’s computerized system will assign three skills at random when you’re scheduled for the test. In addition to the three skills, your hand-washing, and indirect care techniques will be scored as two additional skills. The duration of the exam is 31 to 40 minutes. However, you may receive an additional five minutes if you’re completing your final skill when the time expires. The original admission to test letter sent by Prometric to prove your eligibility to take the exam if questions arise. The first ID should be a government-issued ID with your photo and signature and name that exactly matches the name on the ATT letter. The second ID should have your name and signature. Examples of both forms of IDs include a driver’s license, military ID, state-issued identification card, social security card, credit card, or passport. If you fail to provide proper identification, you will not be allowed to take the test. If you’re scheduled for the clinical test, you must wear appropriate clothing. Scrubs, uniform, and flat, closed-toe, non-skid shoes are acceptable forms of clothing. You should also walk with your watch with a second hand. If you do not wear appropriate clothing or provide proper identification at the time of the exam, you will not be allowed to take the exam, and it will be considered a missed appointment. Your name will be automatically added to the Delaware Nurse Aide Registry if you pass both exams. Scores will be available at the test site on the day you take the exam. A test site employee will give you a copy of your scorecard, which will indicate pass or fail. Please note that test site employees cannot answer questions about the report. All queries must be directed to Prometric. For detailed results, you can use your Prometric ID to sign in online and view the official results, including the checkpoints you missed and feedback. If you fail a test, details for retaking the exam will be on the score report.